Babies need a lot of care, and they can’t voice their needs. Wouldn’t it be wonderful to know exactly what they need and when? Part of the space lifestyle is using available technology to improve and simplify our lives! Geared toward millennial parents, there are now many smart products on the market today geared toward infant health and general care. 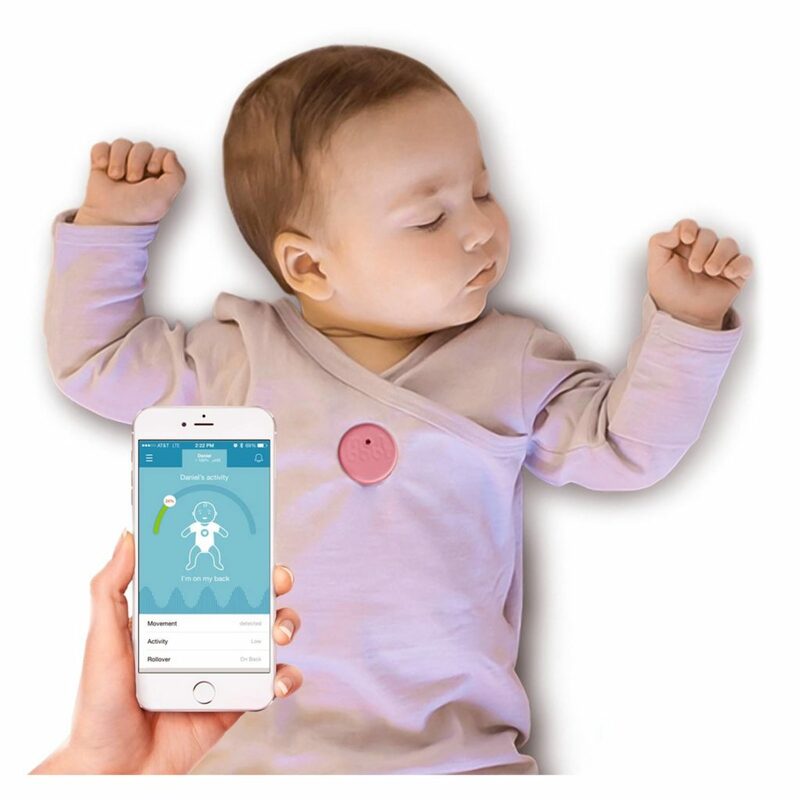 Snuza wearable monitors attach to the baby’s diaper and are available at three price points. The Snuza Pico (MSRP $149.99) is the most advanced, and most expensive. It provides sleep analytics, movement monitoring, skin temperature, and body position monitoring. It connects via Bluetooth to the parent’s smartphone app. The patented sensor does not require direct contact with baby’s skin, reducing false alarms. The Snuza Hero (MSRP $109.99) is a movement monitor that alerts parents if abdominal movements (the rising and falling of the belly while breathing) are very weak or fall to less than 8 movements per minute. The Sunza Go! (MSRP $89.99) is a basic movement monitor that alerts you after 15, 18, or 20 seconds of no movements. The Owlet Smart Sock (MSRP $299.99) is a smart sensor that straps to the baby’s foot. 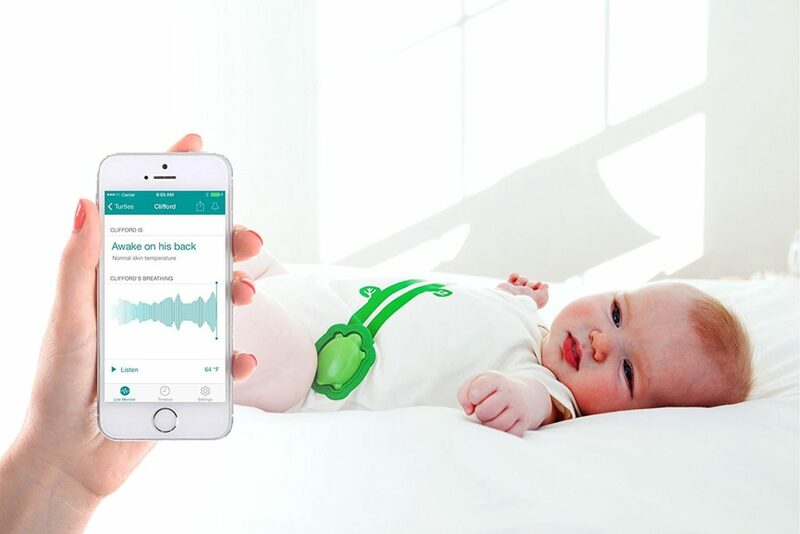 It tracks baby’s heart rate and oxygen levels during sleep, and alerts parents when something is wrong. The Owlet Smart Sock communicates via Bluetooth with the Owlet smartphone app. For any parent who has ever wondered what their baby is doing while they are apart from them, the Mimo Smart Baby Monitor (MSRP $199.99) allows you to stay connected to your baby no matter if you are in the next room or on an overnight business trip. You can track baby’s sleep quality, sleep activity, respiration, body position and skin temperature, and get notified of changes in your baby’s activity via alerts to your phone. The monitoring device fits into a specially designed onesie. MonBaby (MSRP $99.99) is a wearable device that snaps onto any article of clothing. You can choose the alerts you want to receive, and have the ability to track breathing movements, body position (on the back or on the stomach), fall detection, and proximity removal. MonBaby works best when in the same room with the smartphone being used for tracking. With so many options of baby wearables, parents will finally be able to rest easily. Or at least, know that you can sleep for the 38 minutes the baby sleeps.